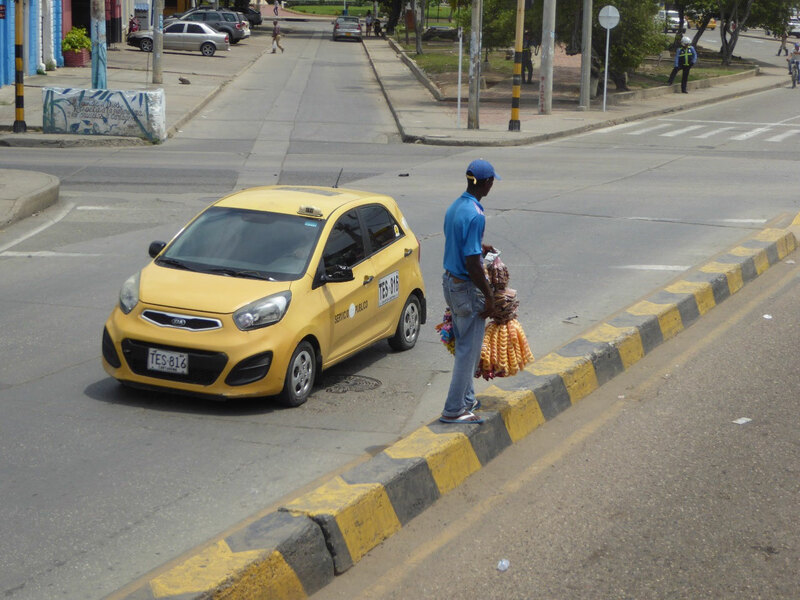 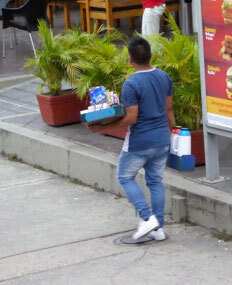 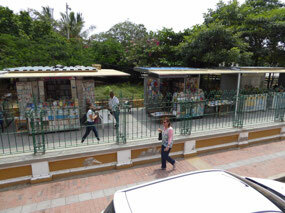 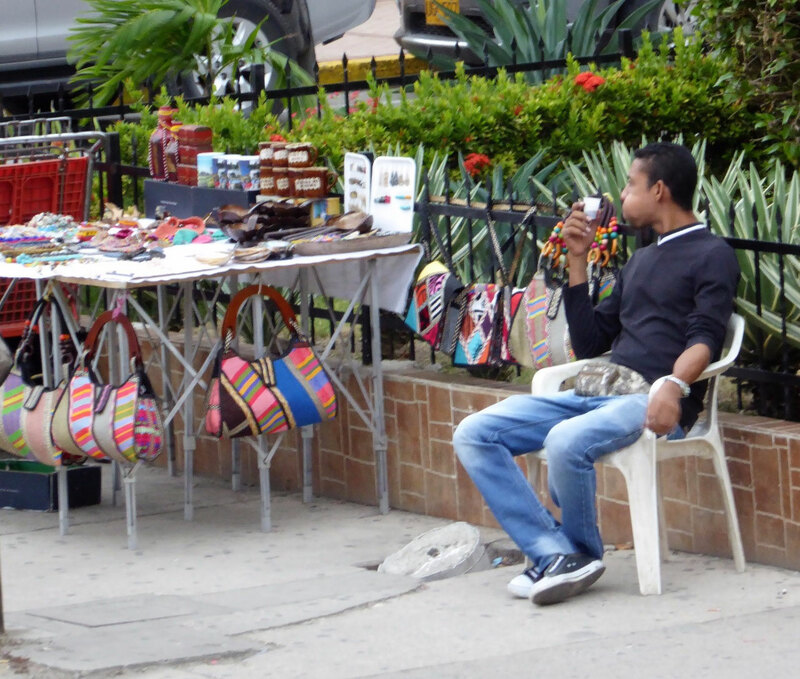 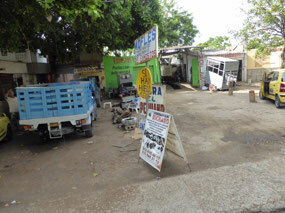 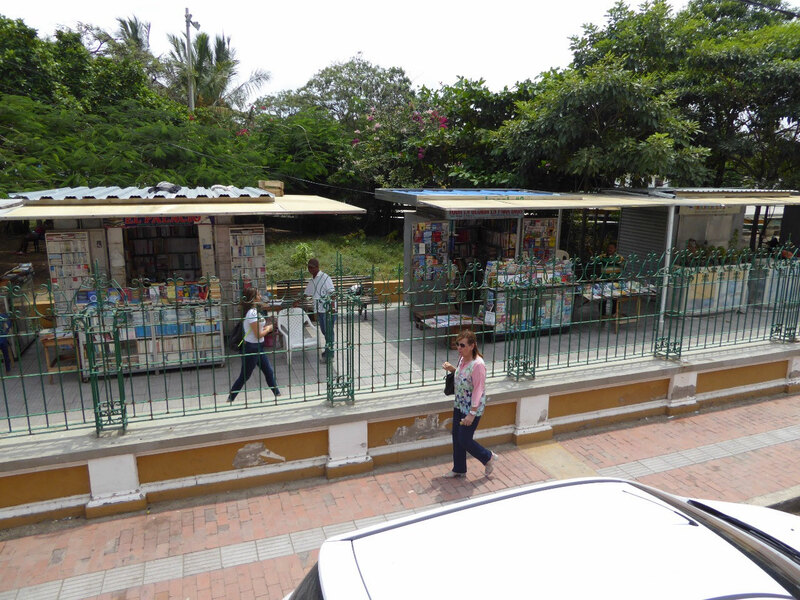 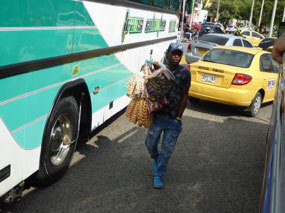 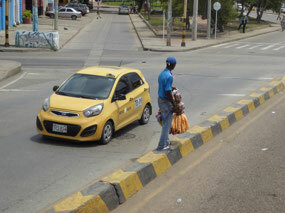 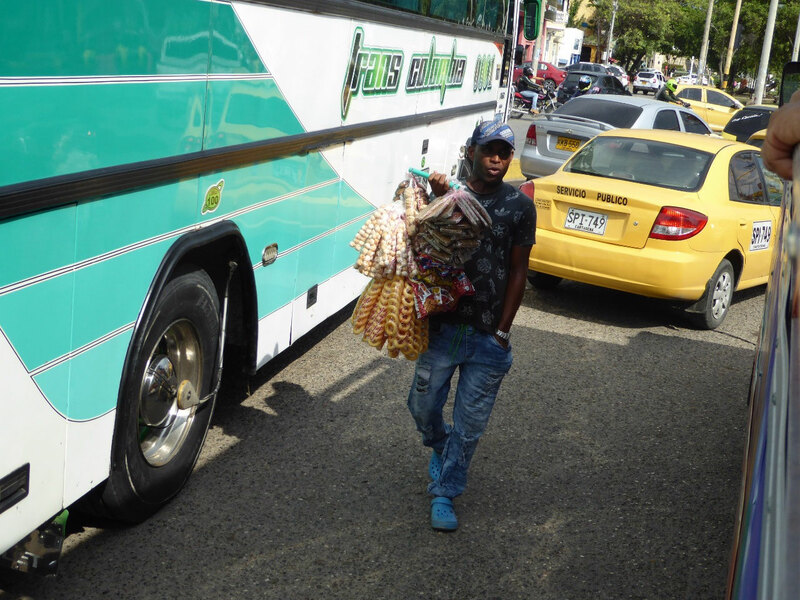 Earlier in our trip, I decided that a blog on “Vendors in Colombia” would be interesting to all. In Colombia, the unemployment rate is 16%. 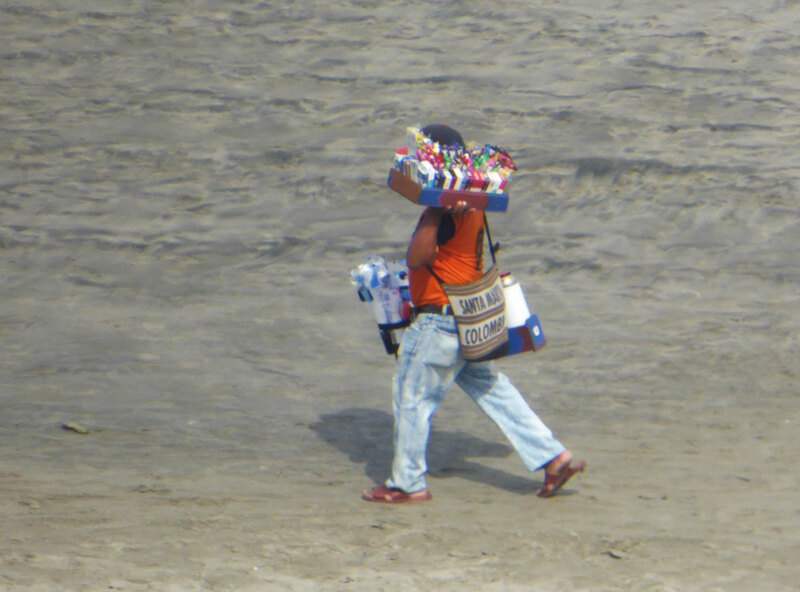 This high unemployment rate causes people to search for ways to make a living; to make ends meet in whatever way they can. 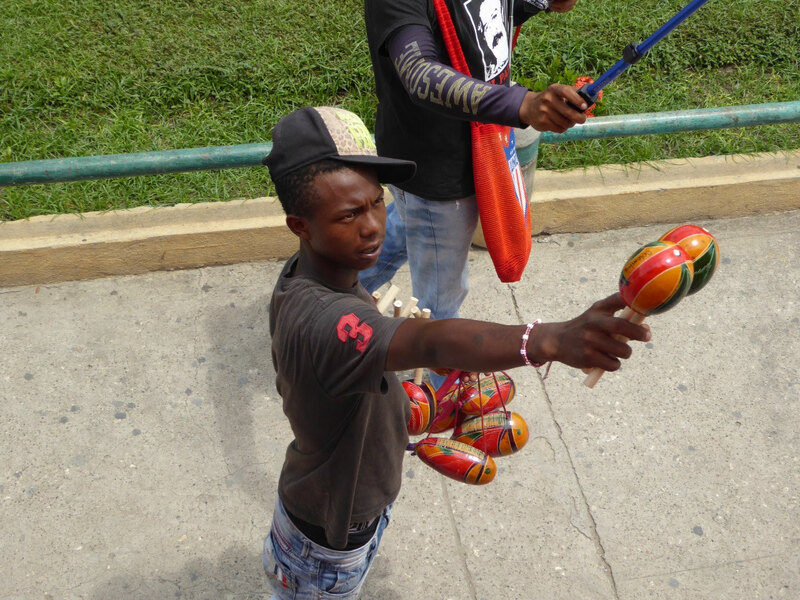 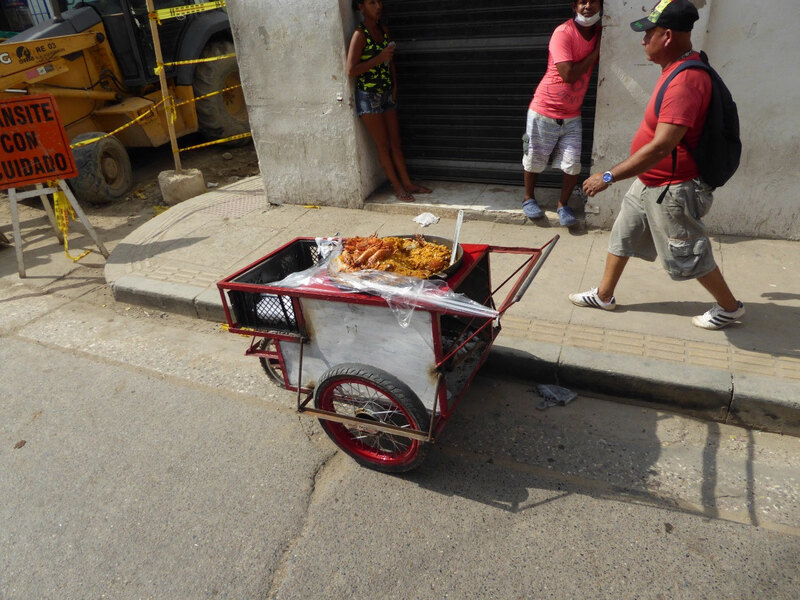 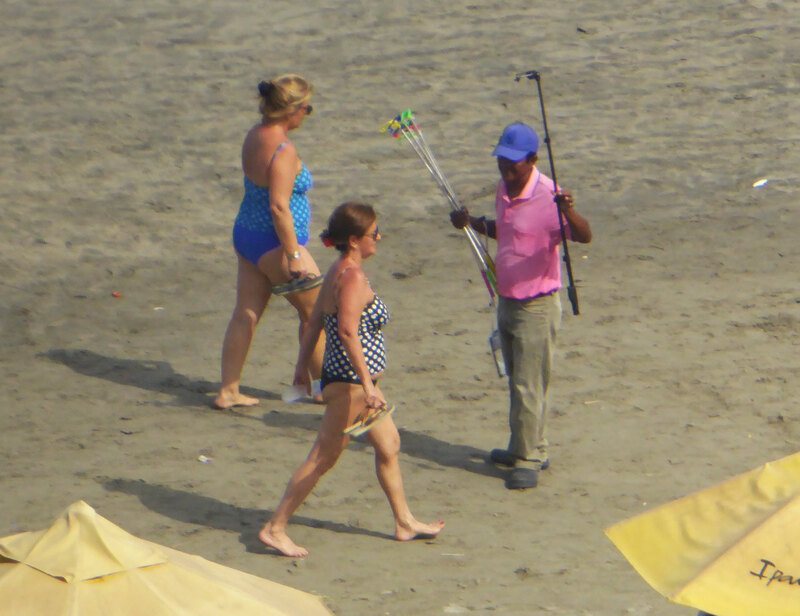 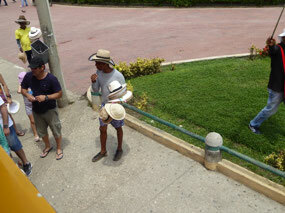 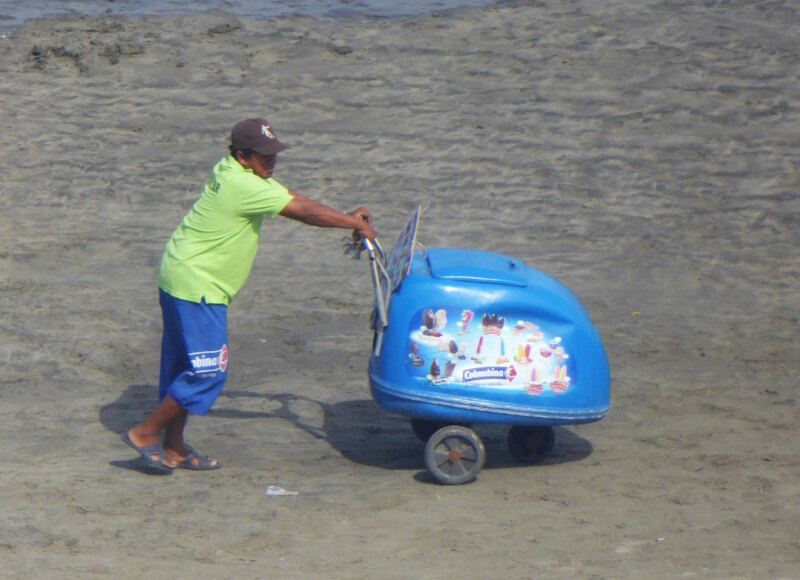 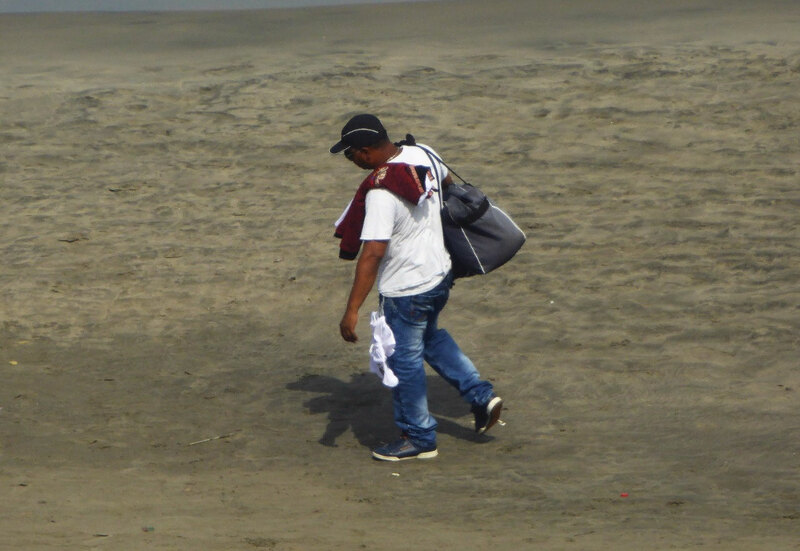 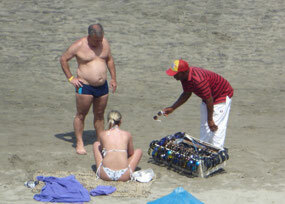 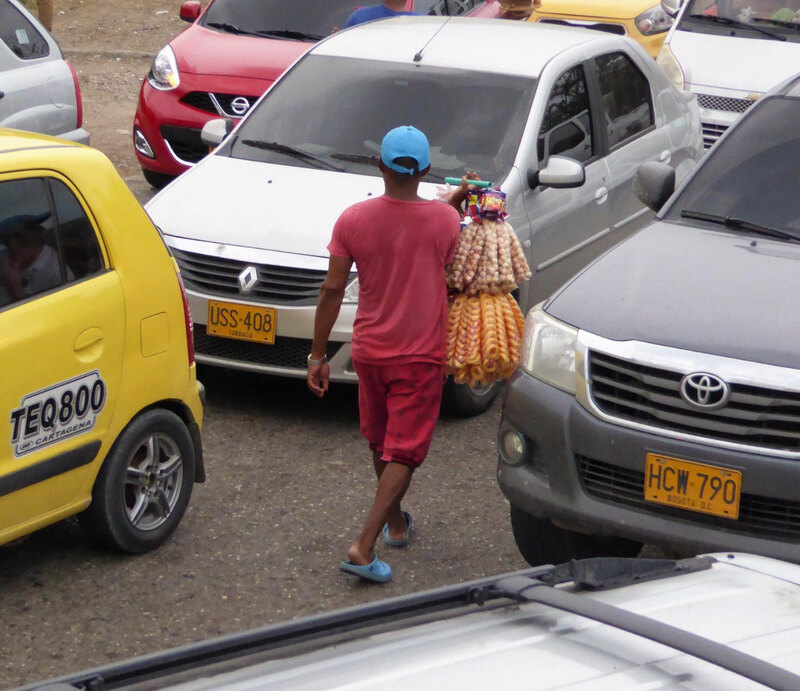 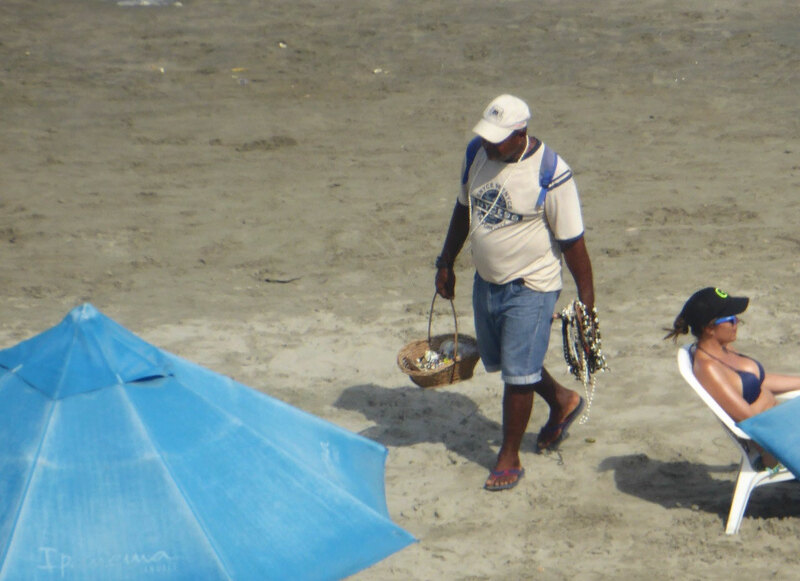 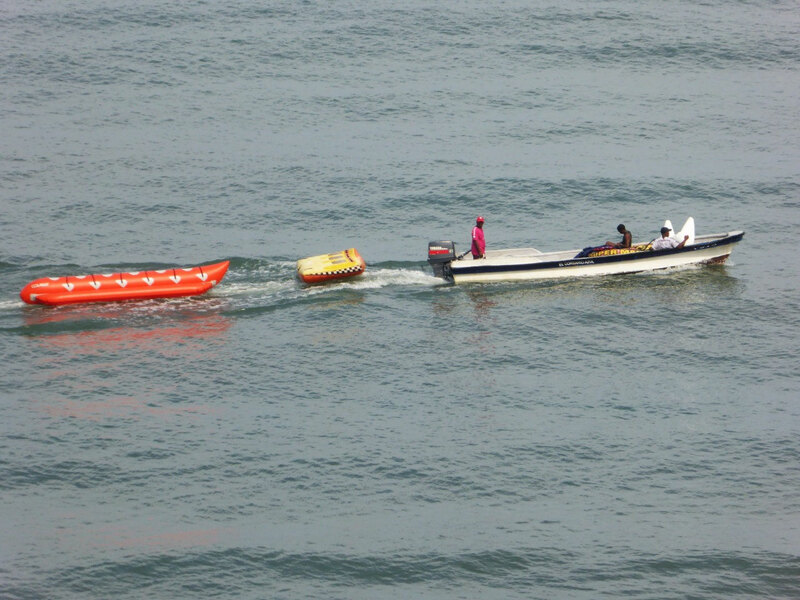 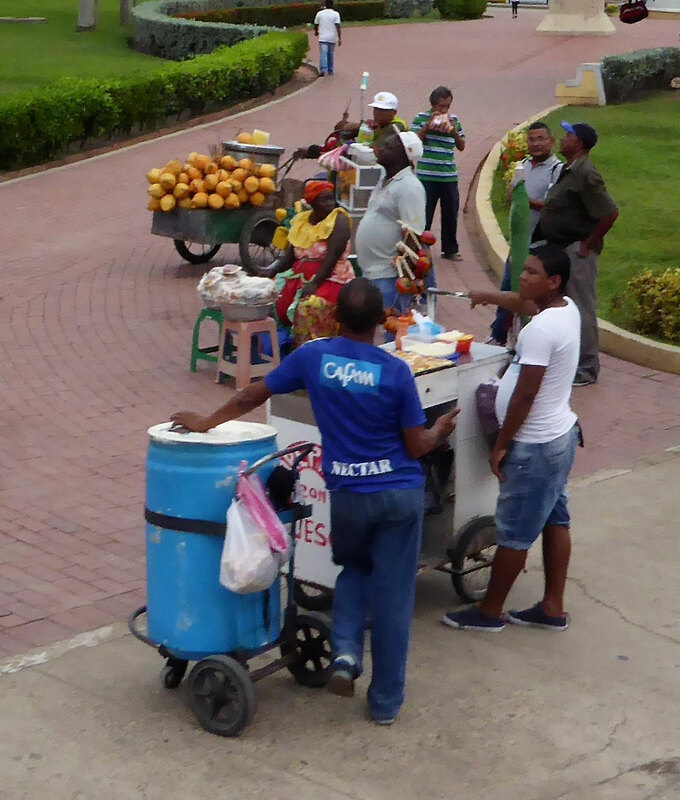 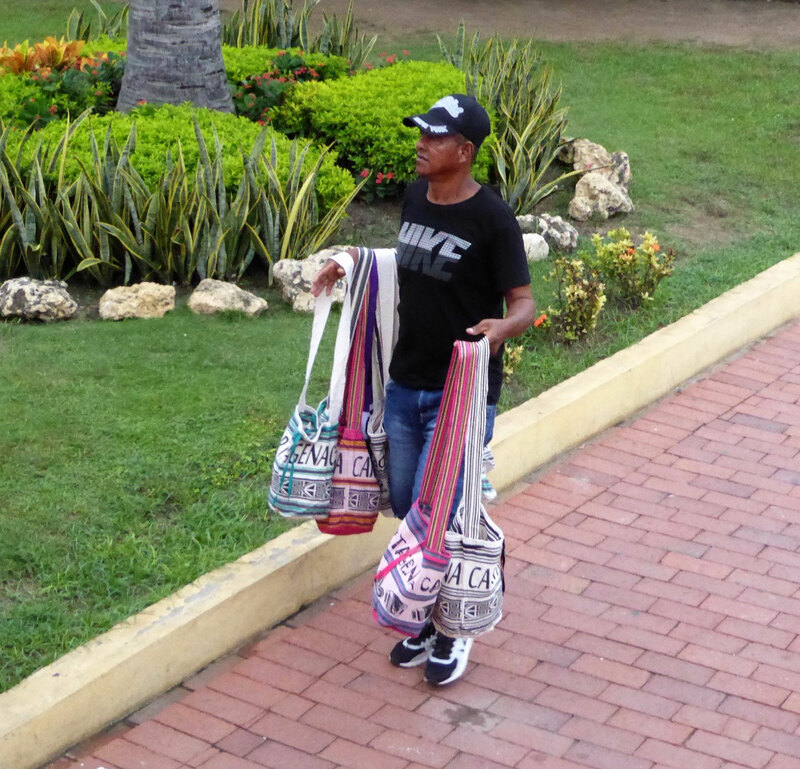 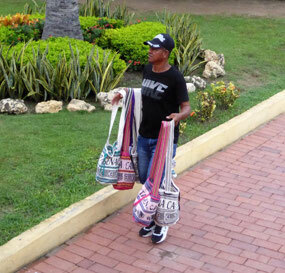 This has created many “vendedoras or vendedoros” everywhere here in Cartagena. 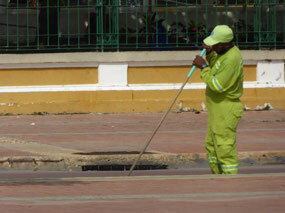 We see it somewhat in other parts of the country, but it seems to be more apparent here in Cartagena. 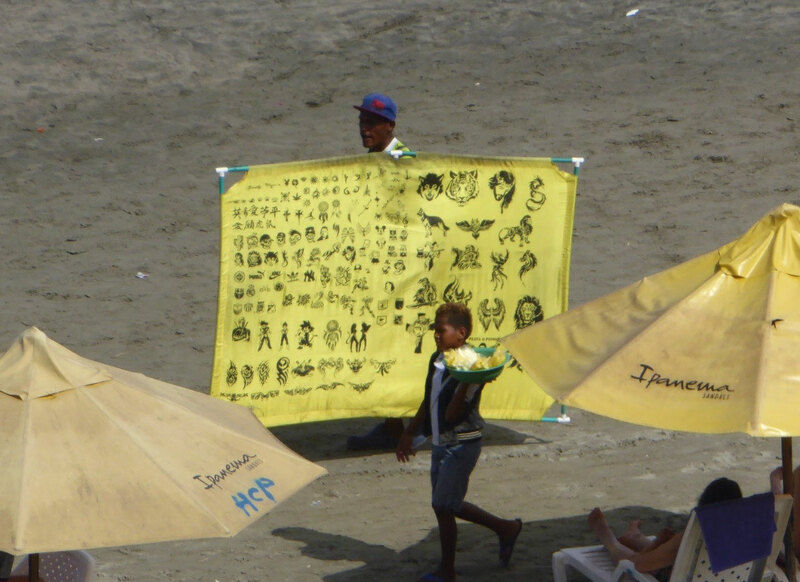 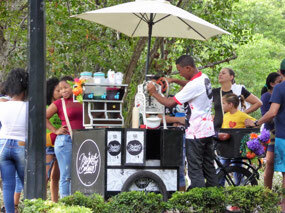 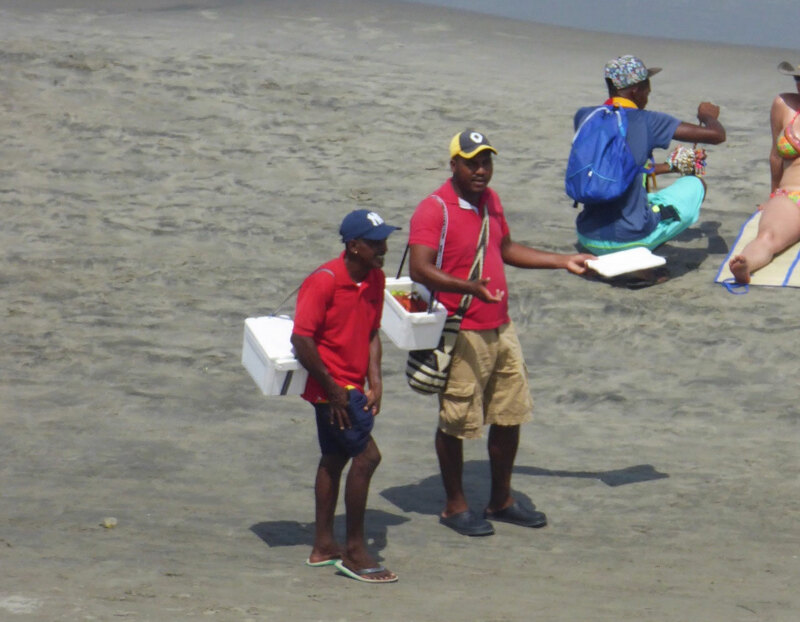 There are three main places to find the vendors—on the beach, on the sidewalks, and at intersections in the streets. I try to avoid looking at them, as if you make any type of eye contact with them, they will begin harassing you. Even if you don’t look at them, they will yell out “amiga” or “amigo”, or yell out the item they are selling “gafas” (sunglasses). I just ignore them and keep walking; acting like I don’t understand them. 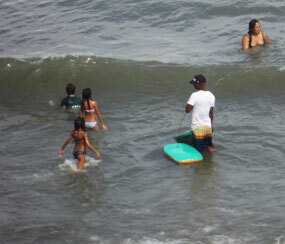 Sometimes I say, “No gracias” and sometimes I make a dismissing wave. 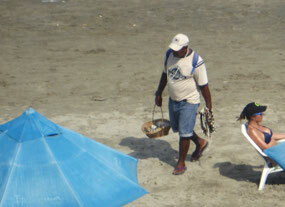 They can become very intense and stubborn at times. 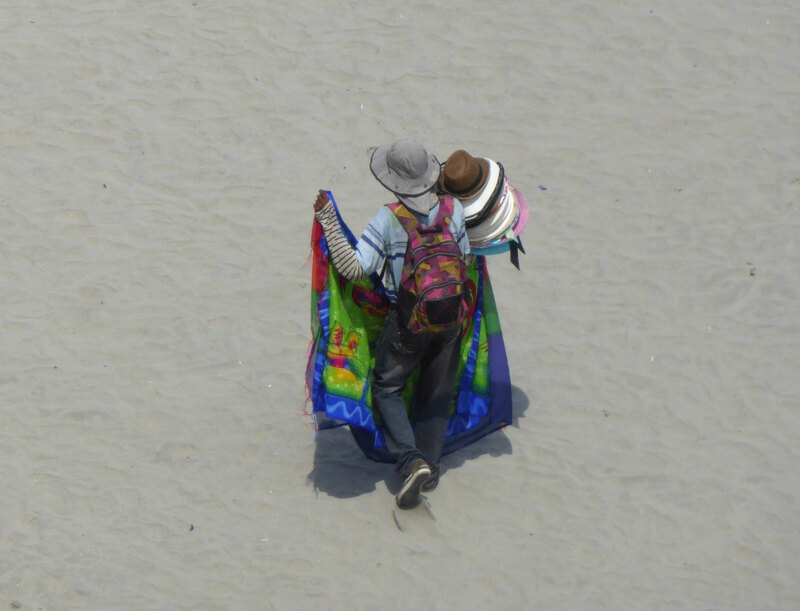 When Scott and I go for our daily walks, in addition to watching for cars, busses, uneven spots in the sidewalks, standing water or low hanging branches, pick pockets or dogs, this adds one more element to keep one on his or her toes! 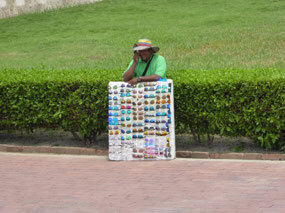 Pictures paint a thousand words, so I will include many photos of the vendors with descriptions. 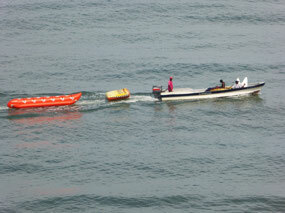 I was able to take a lot of them from our hotel room with my telephoto lens on my camera. The vendors work hard and I appreciate their desire to earn money without asking for a free handout. 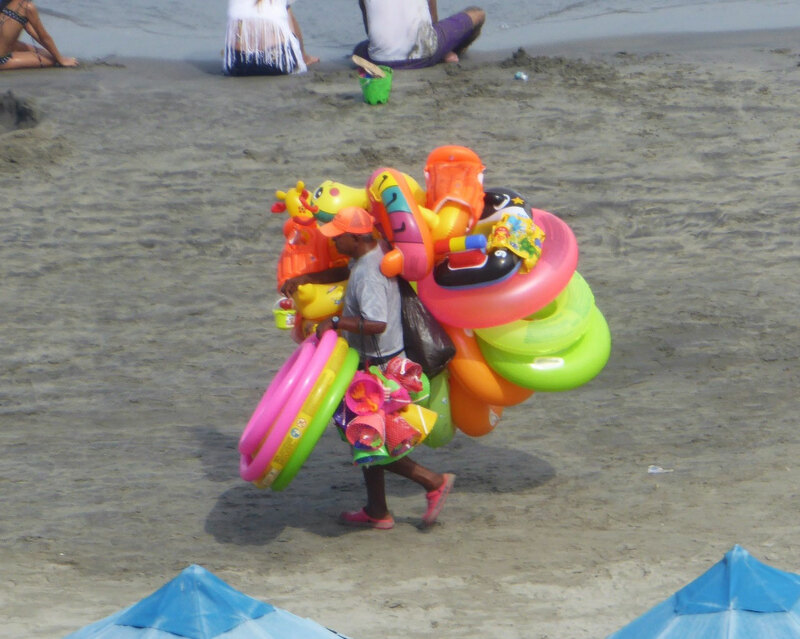 I know that standing out in the hot sun all day is not easy. 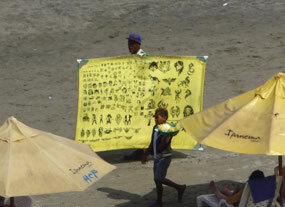 So here is a photo tribute to the vendors! Looking forward to the day when things will be different,hard work will be rewarding. 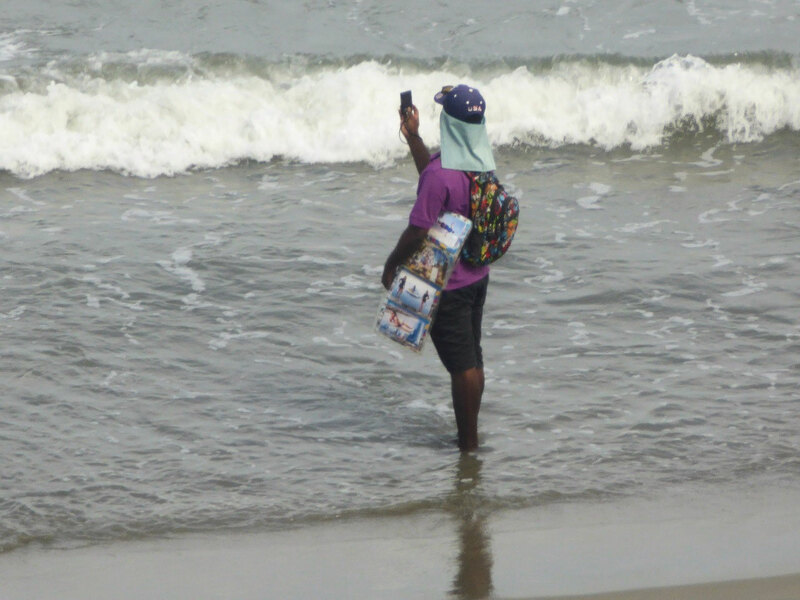 We are so blessed in America. 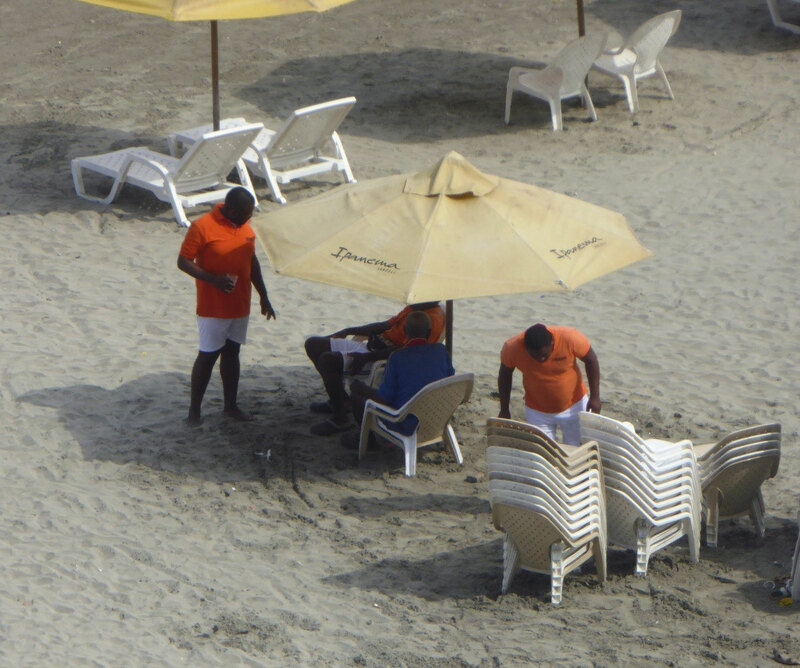 We have know clue what it could be like. 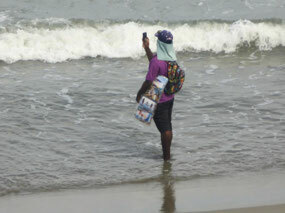 I can't wait for Gods kingdom.